While anxiously awaiting the true beginning of spring, here are some of our new items from Nashville market. Of course, there many new things since market as well. We are still recovering from all the Nashville hustle and bustle and the shop is full! 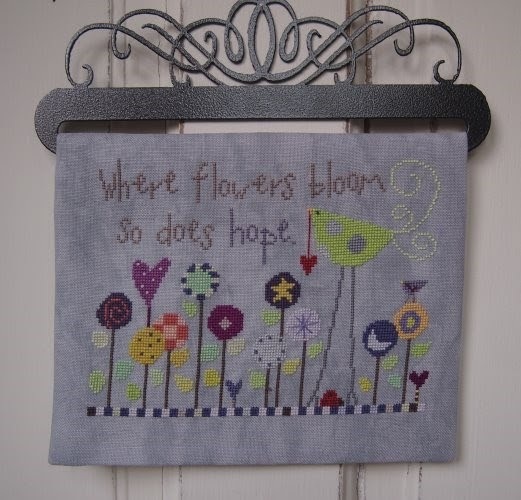 DMC has introduced 35 new colors to their line and Patti Connor has designed the cutest graph featuring her special bird and whimsical flowers, using all 35 colors. 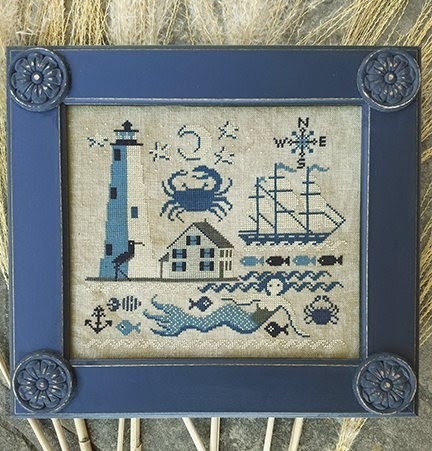 This piece is stitched on Stormy linen; and to introduce you to these beautiful colors, we have Patti’s leaflet, 35 colors and linen to stitch it at a 15% discount. Stop by and get yours by April 30. 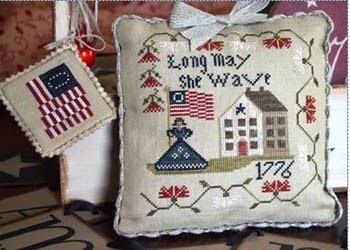 Recent new arrivals include: Long May She Wave—A Patriotic Series by Abby Rose. This is the first in a four-part series of patriotic designs. Photo below. “Spring ABC’S” by Little House is the third in a series of seasonal designs. Spring includes bunnies, birds and flowers. This would be a fun collection for each season. Photo included. 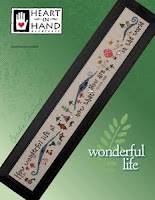 which really is a wonderful birth sampler or a fun addition to a child’s room. This graph includes small animals, a hot air balloon, a feeling of the forest and darling buttons to complete the picture. 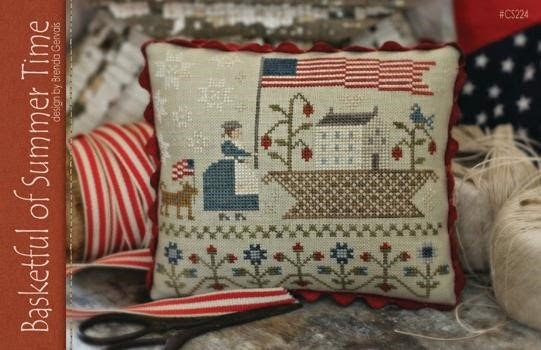 Basket of Summer, yet another beautiful design from Brenda Gervais, shows a colonial house, the lady of the house and her dog, flying their flags. Brenda presented nine new designs at Nashville market. Drop by and check them out. 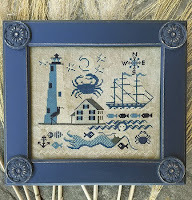 From Carriage House comes a lighthouse inspired by one of the oldest lighthouses on the Chesapeake Bay. Beautiful design stitched mostly in blue silk. This seems to be the year of stitching a series. 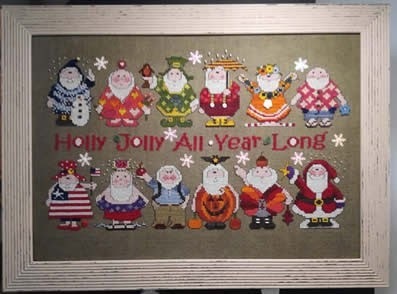 Coming June 1, Amy Brueken is beginning a series of 12 fancy Santas dressed in colorful suits for each season. We are still adding names to our list to receive 2 Santas at a time. There are 13 graphs in the series, including the words shown in the center of the design. Santas are $10.00 each. Come join the group! 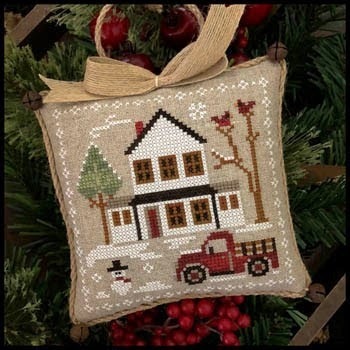 Little House has an ongoing Farmhouse Christmas. This is a series of nine designs taking you back to the “good old days.” We are working on the third design, Grandpa’s Truck. See photo. It is not too late to join the fun. Seems as though everyone has a series this year and Plum Street Samplers is no exception. 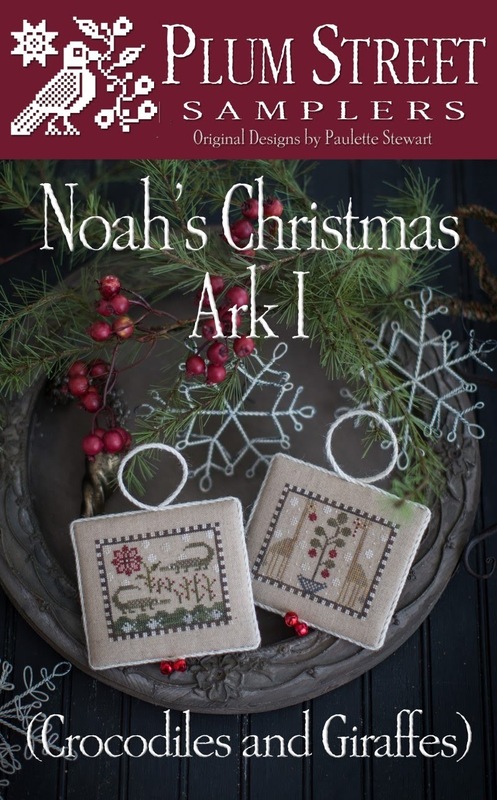 Paulette’s Noah’s Christmas Ark has six graphs with two designs each. Part #3 is coming soon, so it would be easy to catch up. Pictured here is Noah’s Christmas Ark I. 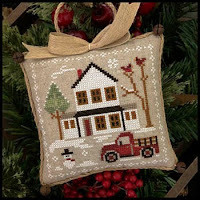 We also have a group stitching this series. Here at the shop, we have the 7 new Plum Street designs from market. We are excited to have a full shop of new ideas to share with you. Wishing you a glorious spring!